Whether you’re buying or selling a home or relocating to the Kansas City area, the following community descriptions will help you in your research. I’ve included a link in the title of the brief description of each city for reference, or for direct links to these and other local area websites, click the Community Websites tab on the left. 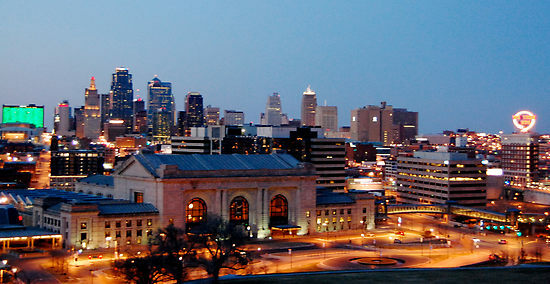 Encompassing 318 square miles with a city population of approximately 440,000, Kansas City MO is the largest ‘city’ in the greater KC area. 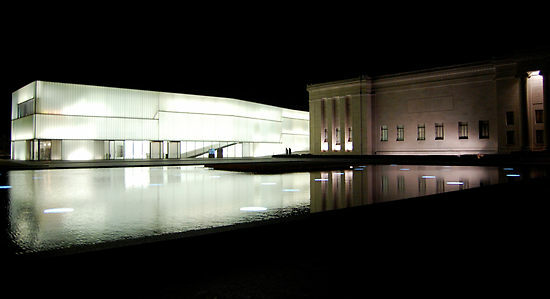 It is home to many of the amenities and cultural attractions that serve nearby Kansas residents as well: the Country Club Plaza, Crossroads Arts District, Union Station, University of Missouri-Kansas City, the Stowers Institute, Rockhurst College, Nelson-Atkins Museum of Art and our national sports teams: Chiefs (football), Royals (baseball) and Wizards (soccer). Kansas City hosts several corporate headquarters (H&R Block, American Century, AMC Theaters) and features a lively downtown entertainment scene (the Power and Light District) and the new Sprint Center for live events. This area south of downtown is generally bounded by 55th St to the north, 85th St to the south, State Line Road on the west and Troost to the east. Known for it’s stately old homes full of character and charm and tree lined streets, Brookside and Waldo offer residents easy bus service to downtown and Crown Center; many locally owned shops, restaurants, parks, tennis courts and grocery stores within walking distance; a popular bike/jogging trail and friendly, welcoming neighbors of all ages. Brookside and Waldo homes continue to hold their value as a desirable place to live on the Missouri side of the state line. You can find homes for under $100,000 that need fixing up to large, redecorated and updated homes over $1million…with everything in between. Just west of State Line, 67th St north to approximately 79th St south sits another popular community for homebuyers. Most of the homes here were built in the late 1940s through the early 1950s. Prairie Village residents treasure their long, tree-lined streets and close proximity to 11 city parks and the popular Prairie Village Shops outdoor shopping area. Just 6.7 square miles, Prairie Village offers an excellent public swimming pool, its own police department and pro-active city services. Many homes here were built in the “Cape Cod’ style, featuring two bedrooms on the main level, a screened in porch and larger yards. Prairie Village continues to hold its value as a desirable place to live because of its attractive homes in all price ranges, convenient location and excellent public school system. Located within a few miles of the KU Medical Center, these three smaller cities are neighbors in the northeast section of Johnson County. Fairway offers small starter homes and larger, stately homes, while Roeland Park and Mission are popular areas for first time buyers because of the generally lower prices and wider selection of smaller homes than Fairway. Each city offers its own city services, parks and shopping areas. Mission is home to the planned East Gateway development, which will feature a hotel, office and retail, and the area’s first aquarium, all located at the corner of Johnson Drive and Roe. All three cities were established in the late 1940s-early 1960s. Hugging State Line Road south of 79th and just beyond 135th Street lies the community of Leawood, one of the most popular areas for homeowners. Leawood features tall, shady trees, many ranch style homes with large lots and convenient access to most parts of the metropolitan area. Leawood offers two award winning public school systems, Shawnee Mission and Blue Valley. The Parks and Recreation Department is outstanding and you’ll find plenty of shopping areas dotted in and around its 15 square miles of land. Overland Park was established in the 1960s, and just keeps growing. Now at 65 square miles, this large city is consistently ranked as one of the ‘best places to live and raise a family’ in magazine surveys. The older parts of Overland Park offer smaller homes while the outer areas feature several newer subdivisions full of families and young children, drawn to the area for its affordable housing and excellent public school system. Overland Park is home to many companies such as Sprint, Embarq, and Yellow Corporation, and offers its own convention center along with plenty of shopping areas and convenient highway access.